Jeff Lucas, Senior Director of Technology Solutions at High Touch, extends his leadership skills beyond our IT Solutions team. Recently, you might have seen his name pop up in the Wichita Business Journal article, “WIBA announces four new board members for 2019.” That’s because he’s accepted the position to serve as Second Vice Chair on the executive committee for the Wichita Independent Business Association (WIBA). Lucas will serve as Second Vice Chair in 2019, First Vice Chair in 2020, and Chairman in 2021. According to the website, “The Wichita Independent Business Association (WIBA) has been dedicated to advancing the growth and impact of Wichita business since 1931.” That’s a long time ago—Herbert Hoover was President of the U.S. and New York City had just finished adding the Empire State Building to its skyline. Back then, Wichita only had about 111,000 residents. Since, WIBA has helped Wichita develop into a city of close to 400,000, providing partnership, resources, advocacy, and educational growth to businesses in the community. 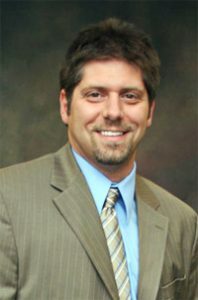 As Second Vice Chair, Lucas helps ensure WIBA can continue to successfully work towards its mission of, “connecting people, providing expertise, opportunities, and an influential voice to help businesses thrive.” The WIBA board of directors is made up of six executive members and 14 board members. “My experience in serving on the WIBA Board of Directors has been very rewarding,” states Lucas. “I am amazed at all that WIBA can accomplish, and I’m excited to work with the Executive Board to help shape WIBA for years to come. In addition to his WIBA leadership, Lucas serves on the board of directors for the Kansas School for Effective Learning (KANSEL). If you’re unfamiliar with the organization, KANSEL provides instruction in reading, writing, math, social studies, and science to help prepare students for the GED exam. KANSEL is dedicated to the fearless pursuit of academic and economic empowerment of its students and its community through recognizing individual needs and creating flexible education opportunities. Back in September 2018, High Touch teamed up with Quantum Credit Union to donate 11 PCs to KANSEL. High Touch encourages all of its employees to get involved in their community.